Joe Shaw is this week’s guest on The Art Of Conversation Podcast. Joe Shaw talks with The Art Of Conversation Podcast host, Art Eddy about fatherhood, starting up The DTALKS podcast with a few other dads and the transition of going solo on that podcast and the joy of DUPLO sets. Joe shares his great experience from attending last month’s Dad 2.0 Summit and what it was like when he ran into one of his favorite podcasters and actor, Michael Rosenbaum at the conference. Joe then answers the Life of Dad Quick Five. Back in late 2014 when Joe’s daughter was set to be born, he looked everywhere for a community of dads to join; a place to get advice on what to expect, to share triumphs and failures, and to build a rapport with fellow dads as they go through this parenting journey. However, he quickly learned while there were excellent resources for mothers and parents in general, there were very few resources for fathers, so he had to do the best he could with what he had available. About a year and a half passed and a good friend of his, who was expecting his first kid, asked Joe for some of the same resources and community questions he had encountered earlier. This made Joe realize there really was a need and want for some type of resource for dads. His good friend and fellow dad, Galan Aldaco, had previous experience with running a podcast, so Joe asked him to help me get started putting together a parenting podcast. 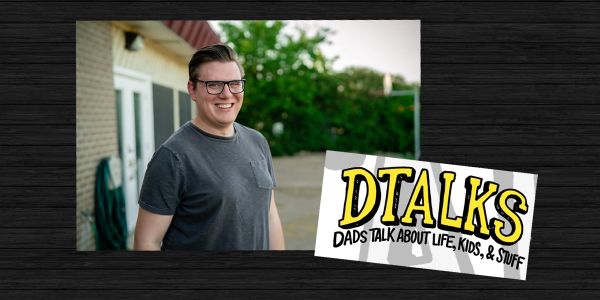 He not only brought in John Laird to help co-host, but also came up with the name “DTALKS” which stands for “Dads Talk About Life, Kids and Stuff”. The idea behind the name is that the listener is hopefully able to “detox” from some of their parenting frustrations by listening to “DTALKS”. Although John and Galan have since stepped away as Co-Hosts (Galan is still on as a producer for the show), they helped Joe structure the show and allow it to be the success it is today. While the show started out as a resource-only type of show, providing advice to typical parenting questions such as teething and sleep issues, it quickly evolved into bringing other guest dads on the show to share their parenting journey and what lessons they have learned along the way. 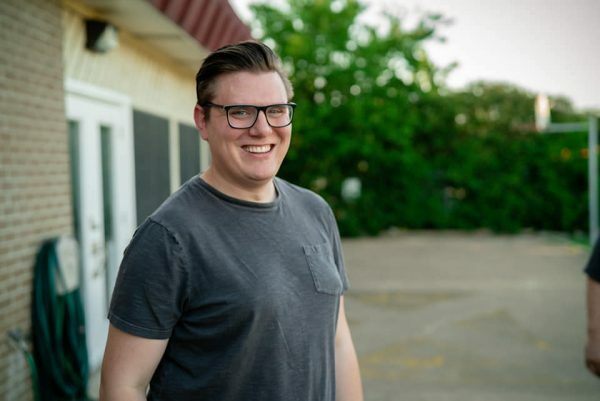 Joe has been able to bring on guests such as WFAA Sportscaster Dale Hansen, Olympian and American Ninja Warrior contestant Jonathan Horton, and FWISD School Board member Jacinto Ramos Jr. among others as he made this transformation. Now that he is running the show solo, Joe has evolved the format again into a podcast that interviews people across the spectrum of life to draw lessons out of their experiences that we can teach our children. Follow him on Twitter at @DtalksJoe and go to his website at dtalkspodcast.com.